The observant blog-follower will likely have noticed that I haven’t been running much over the past five or six weeks. This is due in large part to the fact that my left knee feels kinda wonky after I run sometimes. It doesn’t hurt, but it does feel kind of… sensitive? This has led me to become almost hyper-aware about the smallest little knee pain/twinge, and I feel fairly anxious when I’m running. I don’t want to explode my leg so I’ve been trying to take things a bit slower and limit my runnin’ until my knee decides to stop being dumb. I also bought a small knee brace, which I think has helped. In any case, I’ve felt much better on my runs lately. The other reason I’ve stopped running three times a week is that I’ve been playing Ultimate since the beginning of April. 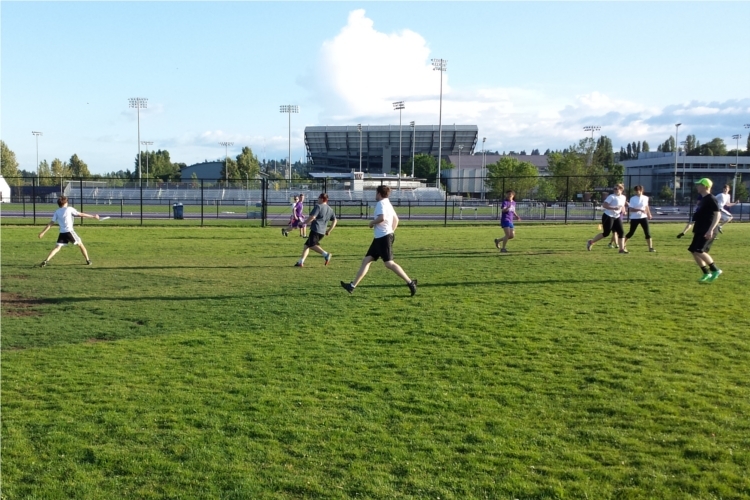 We have games every week, and I’ve essentially been substituting a Frisbee game for a run. Unfortunately, our last game of the season was today (sad). It was very bright today. Here we are waiting for a pull and staring right into the sun. Despite playing quite well during the regular season and earning a #6 seed (out of 30 teams), we got a tough draw in the second round of the playoffs. We were matched up against the champions from last year, and they beat us tonight. This is particularly frustrating because they were also the team that knocked us out of the postseason a year ago! Boo. We didn’t play particularly well (people looked kinda tired), but it was still fun. Action shot! I’m about to throw it super far to the guy runnin’ deep all the way on the right. 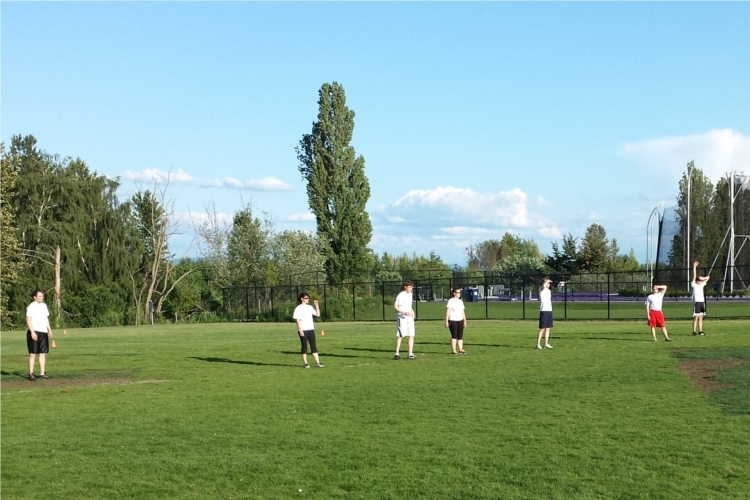 Anyway, now that Frisbee is over and my knee is feelin’ ~better I reckon I’ll start running more consistently. Hooray!